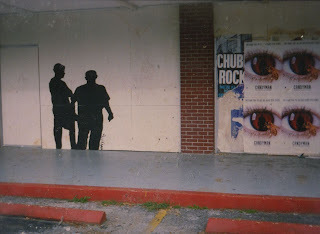 In my early 20’s, I found myself wanting to do more than names or scenes on walls. 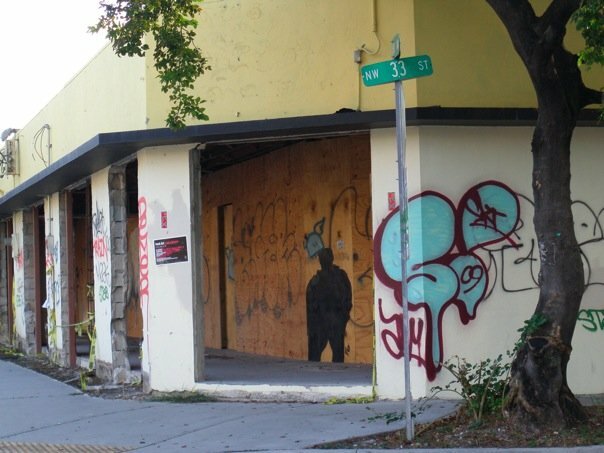 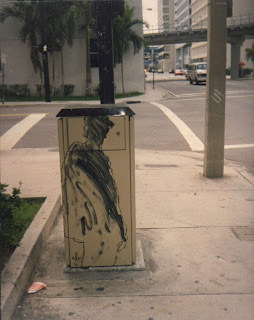 I moved to Downtown Miami where I established a studio and began to create. 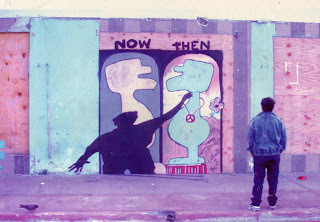 Maturing as a painter I found myself experimenting with different images and mediums. 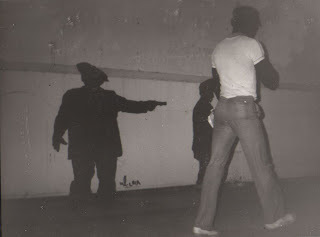 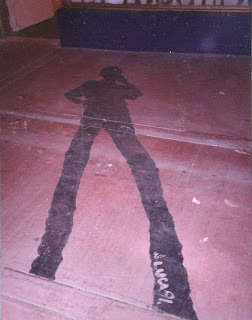 It was during this time that I became aware of how shadows would romp on Miami’s night scene. 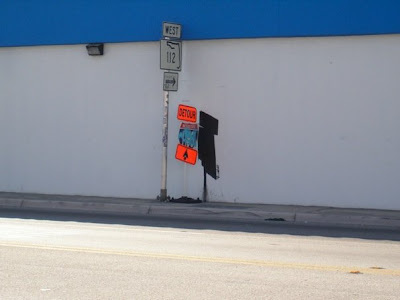 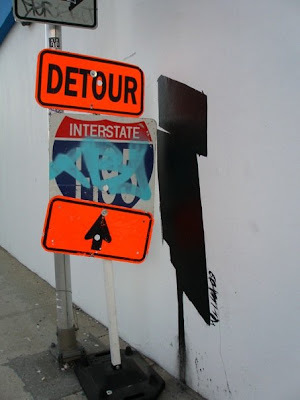 With black paint I started painting abstract shadows of street signs. 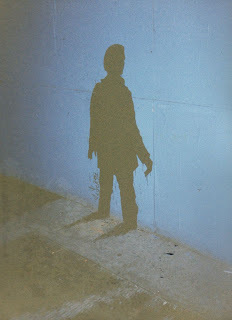 Then of random people posing while I captured their shadows on sidewalks, walls and streets. 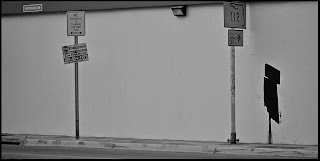 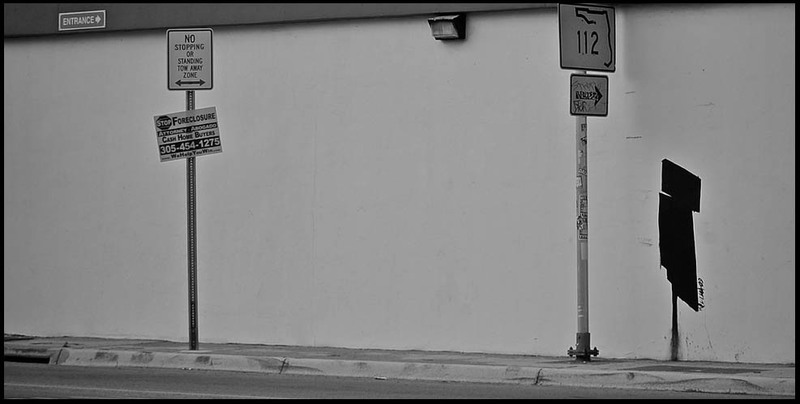 By doing so it appeared as if the street scene became a backdrop of a movie set. 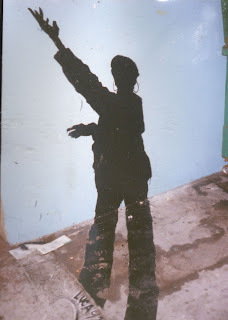 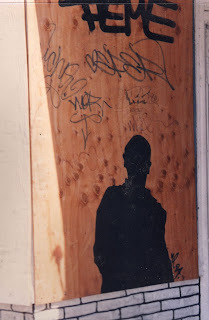 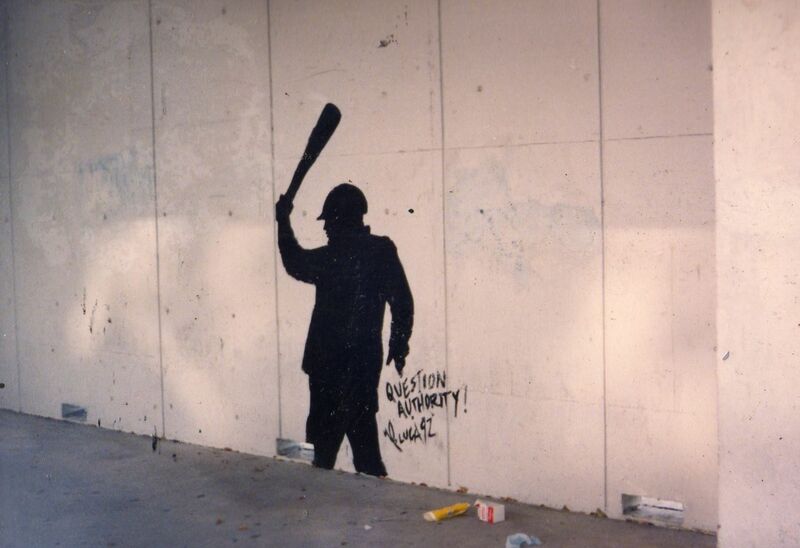 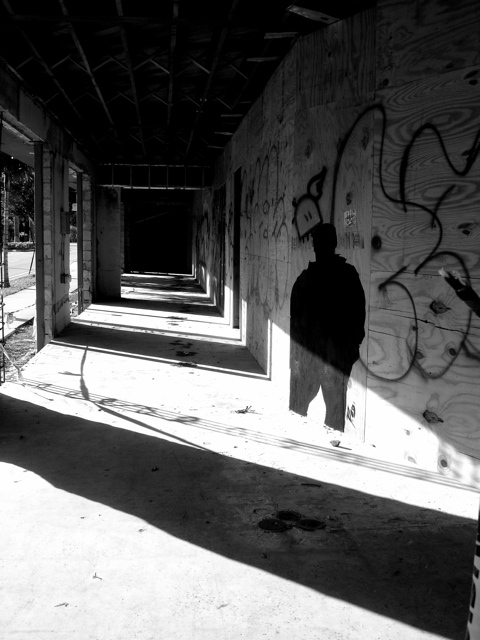 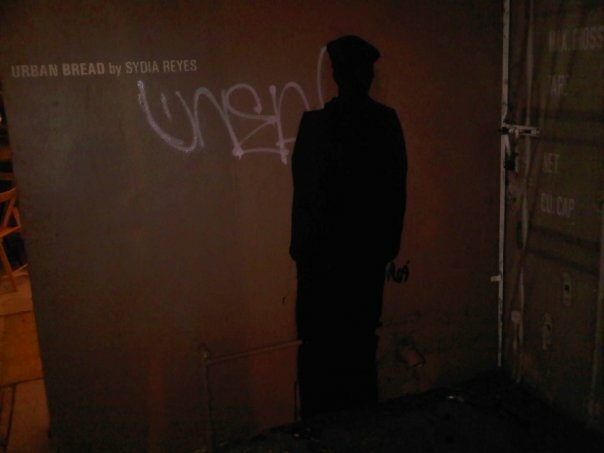 This body of work gained popularity and the media tagged me the “Shadowman”. 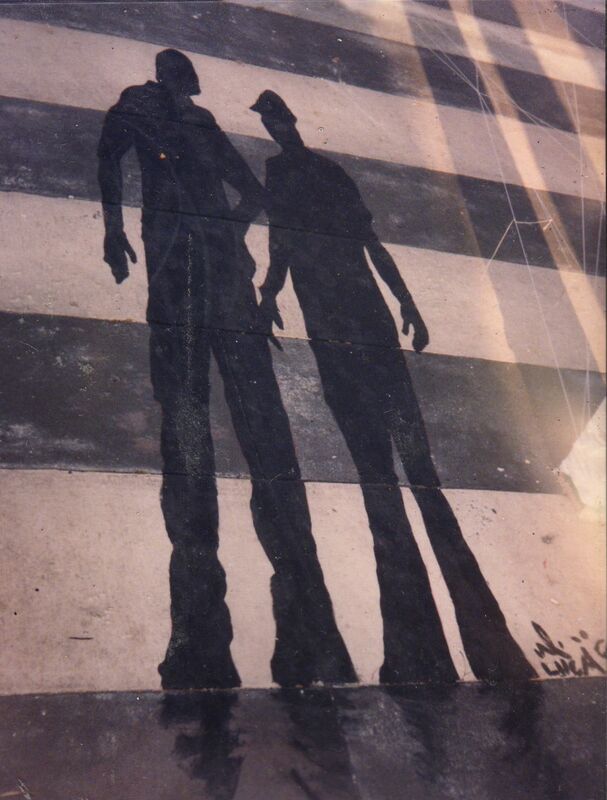 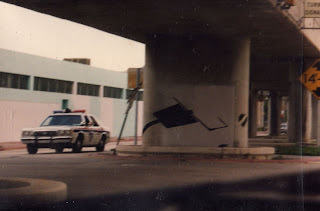 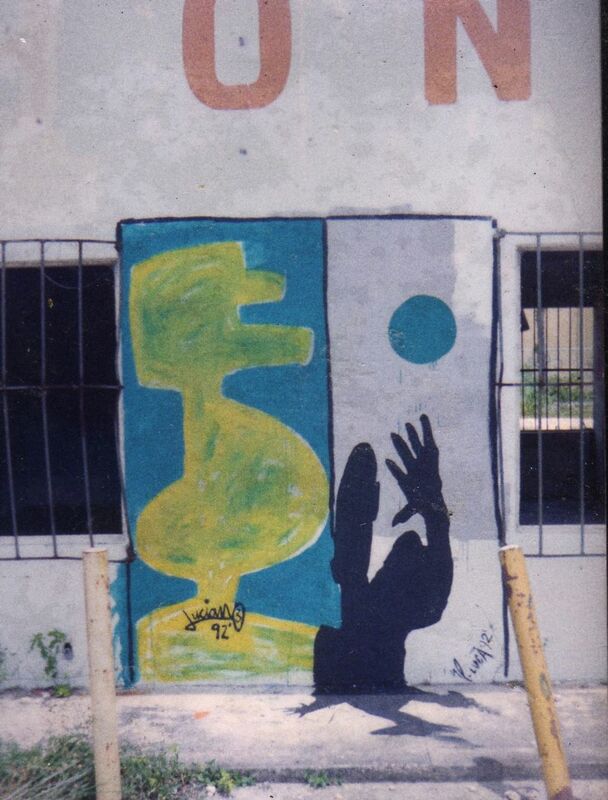 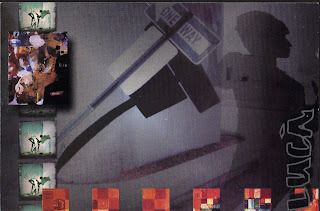 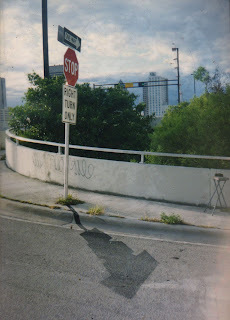 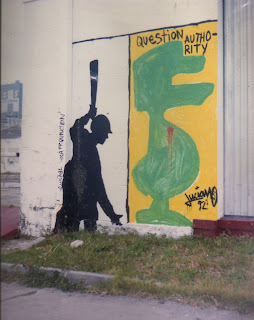 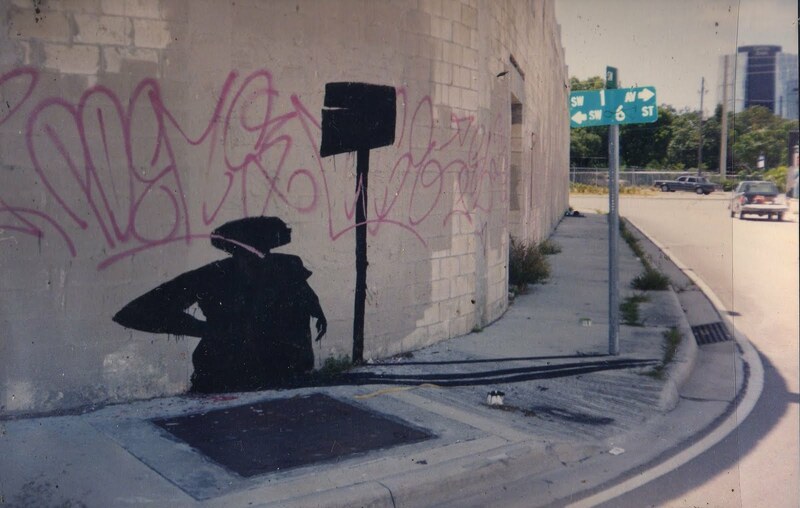 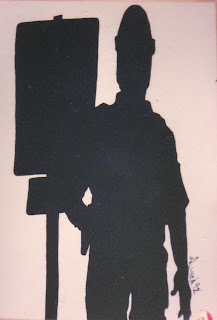 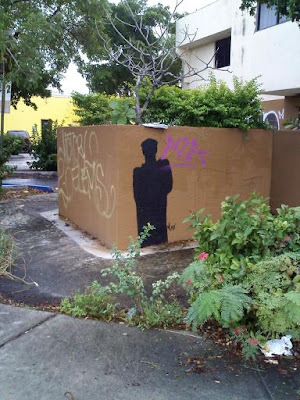 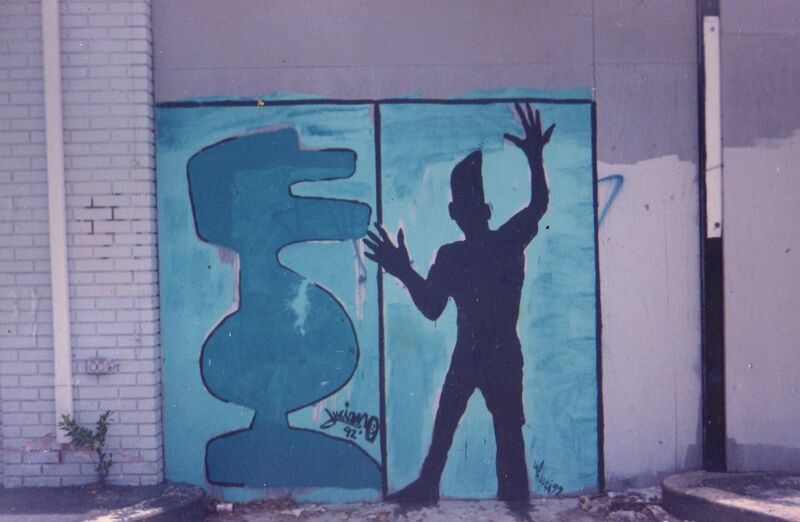 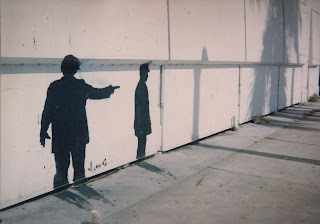 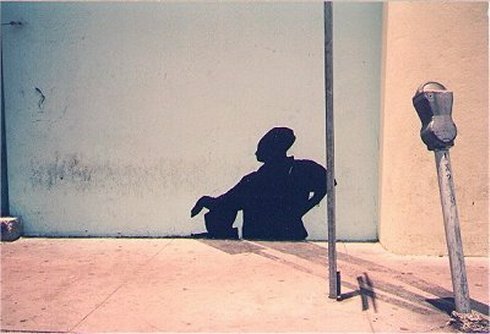 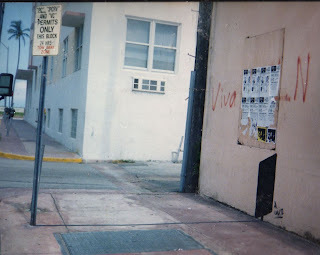 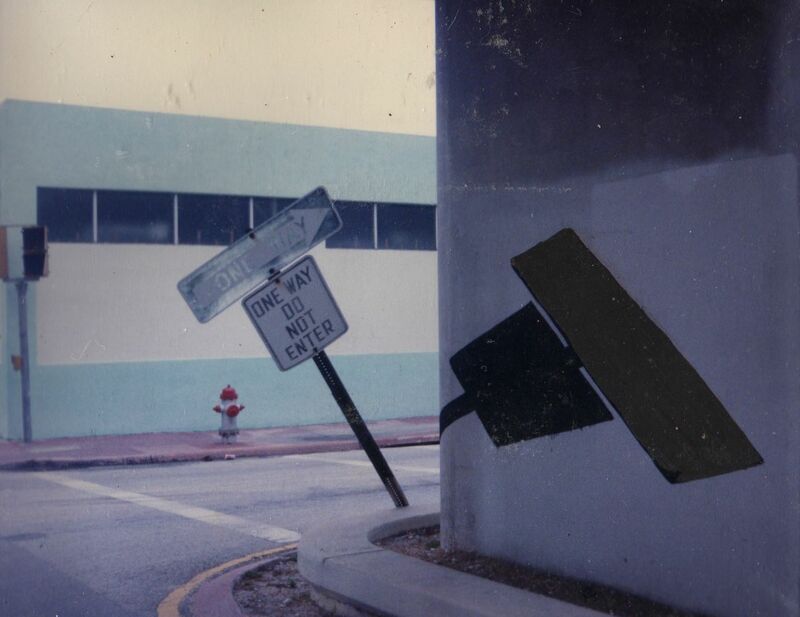 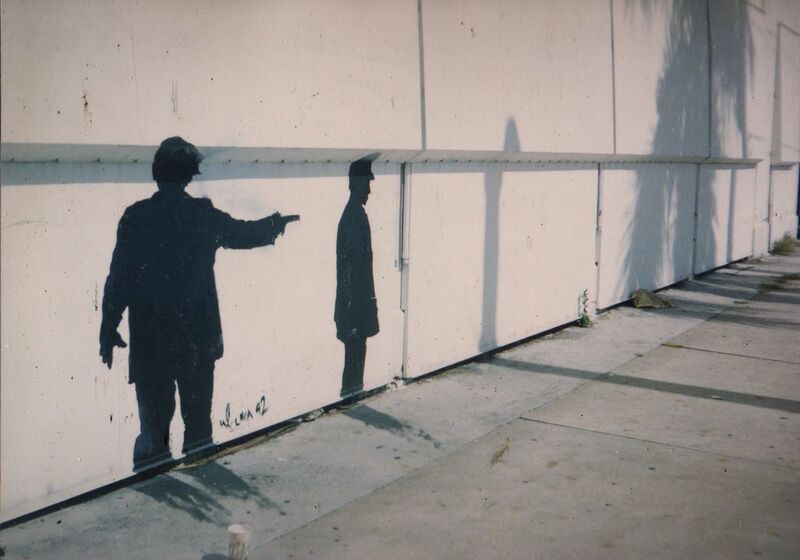 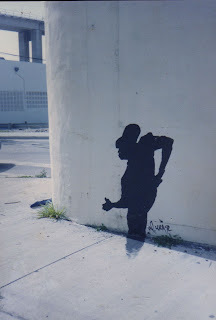 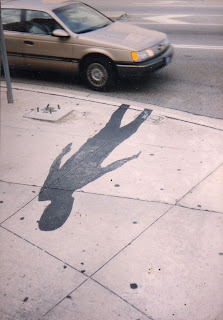 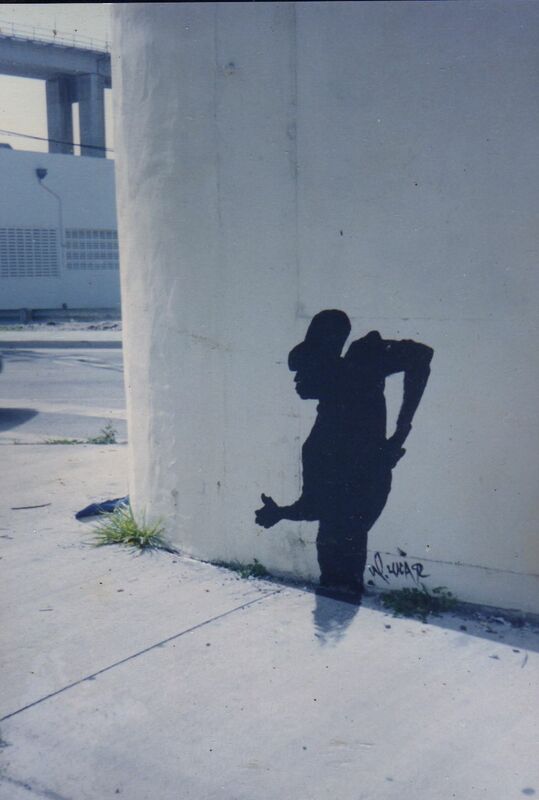 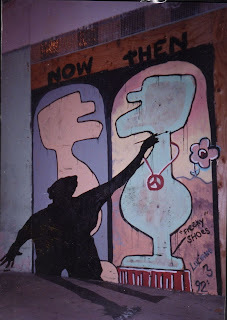 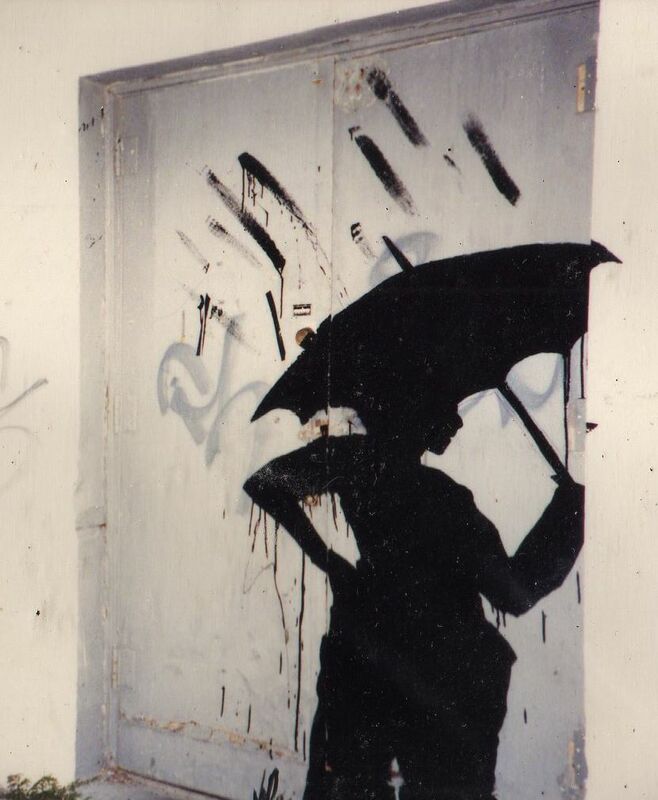 During the early 90’s close to 100 shadows were painted all over the streets of Miami, South Beach, NYC, and a few NE states. 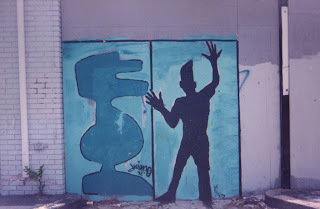 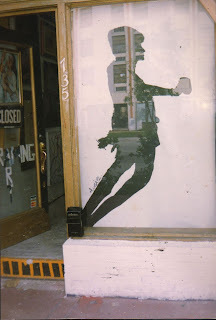 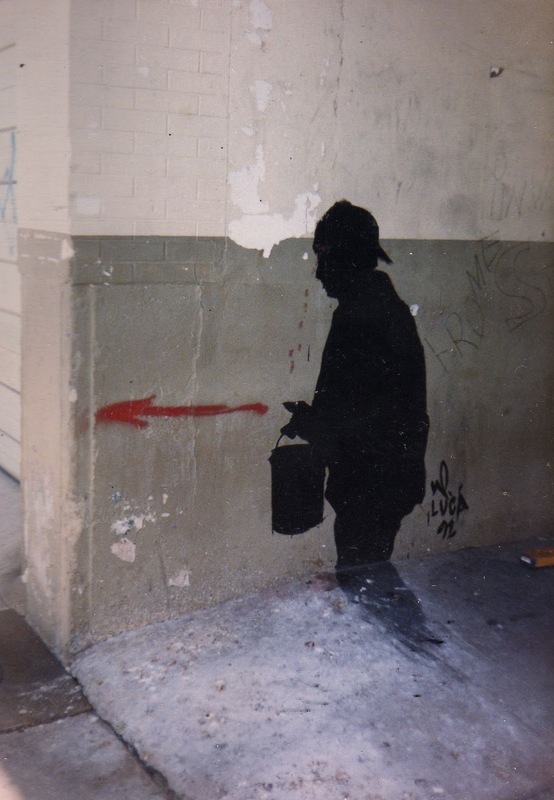 Soon to follow was extensive media attention “renowned street artist/expressionist” status, several commissions with avid street shadow admirers, multiple galley and solo shows, landmark status, books and magazines.